Emily Rusk’s performance at last month’s ECNL San Antonio Showcase was huge on many levels. For starters, she was named to the All-Event Team which speaks to her performance during the three-game event. Rusk, a U17 goalkeeper, was honored alongside Charlotte Soccer Academy teammates Hannah Robinson and Kelly Bach as her team finished the competition with a perfect record of 3-0. Just what her squad needed. "Going into the tournament my team was ranked at the bottom of the A division and these wins pushed us up to a more secure position," said Rusk, who credited her defense for a successful run of matches. "It’s awesome to make these All-Event teams. The competition is tough and soccer is such a big part of my life, it’s really cool to get recognition after such a high level tournament." SC Del Sol U15 players Emily McShane and Mary Danilevics made the All-Event squad as their team went 2-0-1 for the weekend. CASL and CESA had two of the stronger showings on the U16 side with both teams finishing at 2-0-1. CASL’s Sydney Curtis and Cameron Castleberry were honored for their performances as well as CESA’s Chelsea Drennan. In U18 action, Lonestar SC also finished with a 3-0 record and midfielder Sharis Lachappelle earned her spot on the All-Event Team. 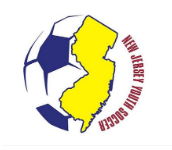 The final event of the 2010-11 ECNL regular season, the ECNL PDA College Showcase, will take place May 28-30 in Zarepheth, New Jersey. Forwards: Emma Bergstrom (Crossfire Premier FC), Lauren Jankowski (PDA), Jorian Baucom (Sereno SC). Forwards: Madison Lewis (Michigan Hawks), Cameron Castleberry (CASL), Stephanie Amack (Bethesda), Danica Evans (Colorado Rush). Forwards: Gabriella Strange (Pleasanton Rage), Lindsey Holmes (FC Milwaukee), Ashleigh James (Challenge SC). 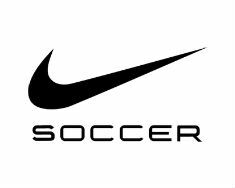 Forwards: Jaclyn Softil (Crossfire Premier SC), Jacqueline Cox (Solar SC), Stephanie McCaffrey (FC Stars), Natalie Huggins (FC Dallas).